The 2015 snake horoscope forecasts an eventful year with its share of obstacles and problems. But with your never-give-up attitude, you will not find it hard to reach your goals. Chinese zodiac predictions 2015 for the Snake, point to a highly stressful year for them with many serious challenges. The snakes can achieve their goals only with the help of their social circle. Hence it is necessary that you be socially active, meeting friends and powerful people. Being a loner will make the problems worse. Meeting people and networking with colleagues and business associates will open new avenues that might otherwise have not been possible. Naturally Snakes and Goats are not compatible and in the Goat Year, you have to put in more effort to succeed and wait patiently for success. Another factor you have to keep in mind is to control your fiery temperament during the year 2015. But this might not be such a bad idea after all. This year gives you time to finish all pending tasks and plan thoroughly for the future instead of beginning new projects on impulse. Friends and friendship will be in focus than love and romance for the Chinese zodiac snake in 2015. This will be a major factor in attaining your objectives. The snake predictions 2015 foretell that health should be taken care of during the year 2015 and beware of physical injuries. You are in a year of adversities and this is a time to be safe than to be adventurous in all aspects of life. 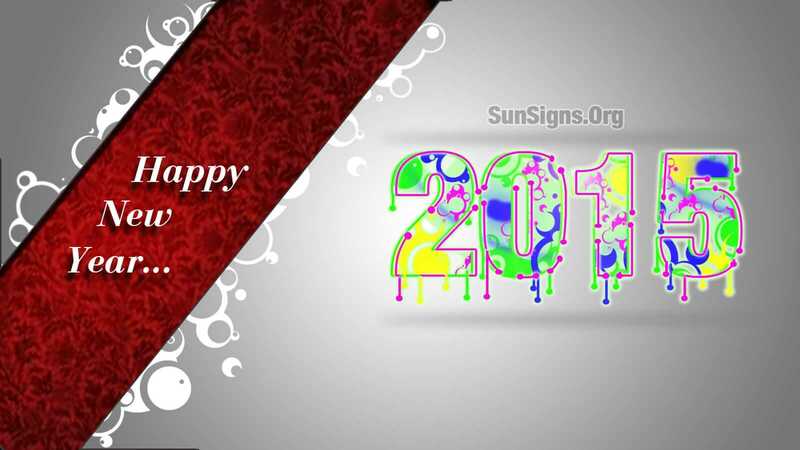 The Feng Shui yearly forecasts 2015 for the snake predict that though this might seem like a tough year, all is not lost. Good luck, fortune, wealth and money will bless you provided you don’t give up and move ahead with determination. The 2015 snake horoscope predicts that singles will have many chances to form love relationships this year as they come in contact with plenty of people in social gatherings. Nothing serious comes out of these relationships as 2015 is not auspicious for Love and Romance. If you are already in a committed relationship, there is a need to give enough space to your partner if you want the relationship to flourish. Strong partnerships will survive while weaker ones will wither away during the year. People born in the year of the snake will find solace in the company of friends and family during times of hardship in the year 2015. The year of the sheep 2015 predictions show that your relationship with your spouse will be delightful. Getting pregnant and having children might make relationship better. (Also read the corresponding Taurus 2015 horoscope). On the family front, you might have some misunderstanding with your relatives and friends. Do not let this escalate. Talk it out and solve the matter before it goes out of control. Also some problems in your career or business might add to the tension at home. Try to keep your personal and professional life separate in order to avoid this. The snake 2015 horoscope predicts that the snakes are likely to have misunderstandings with their colleagues and superiors at the work place or in business during 2015. This may become an impediment to your career growth. You should be diplomatic with your associates and have a harmonious professional relationship with all. Your job requires you to be more diligent to meet the demands of your boss as well as your clients. Your efforts will be noticed by the management and you will be financially rewarded. This requires tremendous effort on the part of the snake. But in the year of the sheep, be ready to face tough situations at each and every turn. Travel is indicated for professional purposes and will prove to be beneficial in 2015. 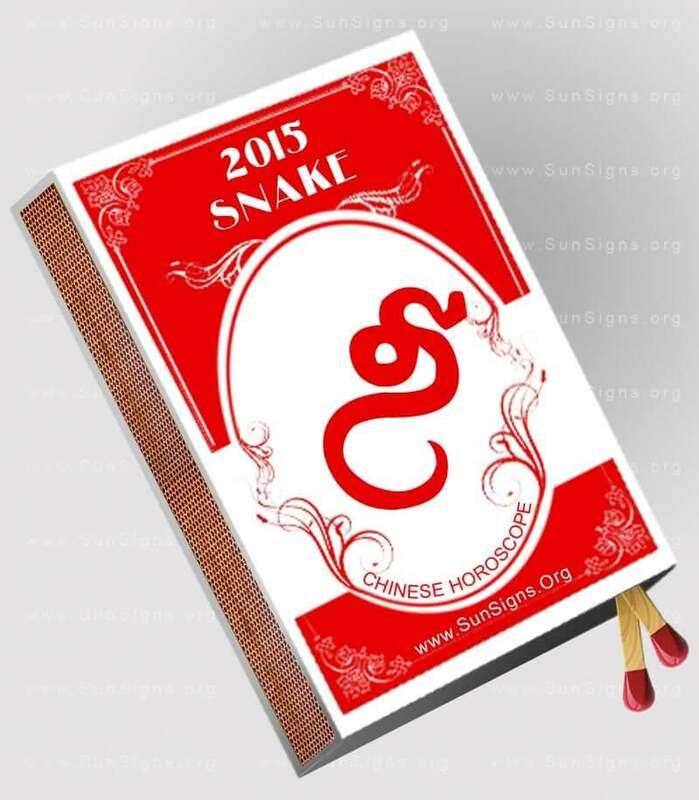 The Chinese zodiac 2015 predictions foretell that monetary situation is not encouraging for Snakes in the year 2015. You may be induced by unscrupulous people to invest in speculative ventures which may turn out to be unprofitable. It is imperative that you have a reliable financial strategy to take care of your savings and necessities of the future. All large investments require detailed examination and should not be done in haste without proper thinking. Think twice before advising others on financial planning. Remember, if it backfires, they will hold you responsible for the monetary losses. The 2015 Chinese astrology forecasts predict that physical health will not face any major hiccups during the year 2015 for the snakes. However the tension caused while achieving professional and financial objective will create emotional disturbances. Hence enough attention should be given to keep stress levels low with sufficient rest and relaxation. A healthy diet will help in maintaining good health. Life will be hectic during 2015 and snakes will tend to be in a bad mood. You should think of enhancing your emotional quotient by resorting to religion and spirituality to be stress-free and maintaining your mental stability. This year is favorable for the snake people for developing your hobbies as a part of your recreation. You will enlarge your social circle by making numerous friendships with influential people. A pleasure-filled holiday with family to a serene place will improve the harmony in domestic life and relax your mind. Thus, the 2015 snake horoscope foretells of a difficult year. But this is also a year of learning and rectifying your past mistakes. This tough time is similar to what people go through a Saturn Sade Sati, when every small thing takes tremendous effort. This will help build your inner strength and confidence in the long run.